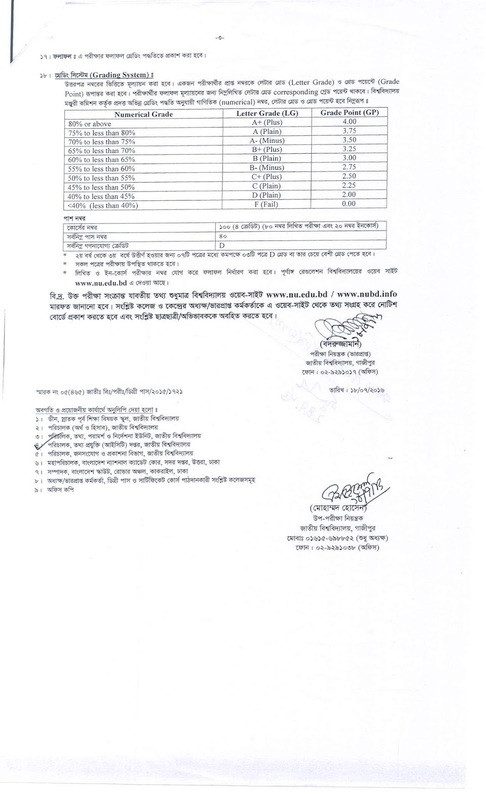 National University published Degree Pass 2nd year From Fill-up notice. Degree Pass and Certificate course 2nd year session 2013-14 regular students and Private students who registered 2014, attend and promoted those students can fill up “Form” by online. Students will fill up online Form by the following date. Degree 2nd year exam routine, date and time will be announced later. Mention examination Application Form, Form details and related documents fill up and submit date & times are given bellow. 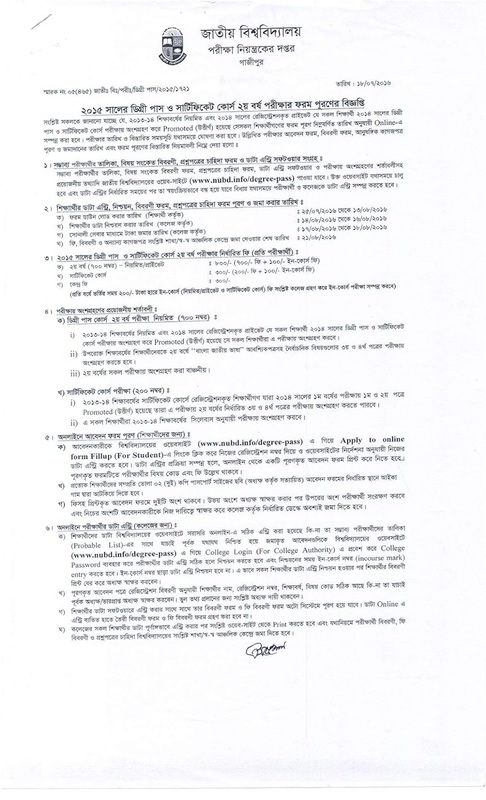 Probable Candidates list, Subject code details, Question paper demands form and Data entry software collection and participate in exam, all the details will available on NU official website www.nubd.info/degree-pass. Respective website will open in due time and it will be closed after completion automatically. So students and college authority requested to complete their work in due time. Regular of session 2013-14 and registered in 2014 private students who promoted by the exam of 2014 Degree pass and certificate exam. Mention session students must be attend in 2nd year “Bangla Jatiya Vasha” MCQ including compulsory subject 3rd and 4th part. Compulsory attend all exam of 2nd year. Registered students of 2013-14 session who promoted in 2014 1st year exam of 1st and 2nd part those may give exam 2nd year 3rd nd 4th part. All those students will give exam by 2013-14 session syllabus. 5. How to fill online Application Form? Candidate must visit the National University website www.nubd.info/degree-pass. The click “Apply to online form Fillip (Form Student)”. Then put your registration number and follow the website instruction to data entry. After complete the data entry an Application form may download. There will be mention subject code and Fee. Recent two copies of photo (Attached by Principle) attached in Application Form by Ica gum. There will be two part of Application From. After signature by Principle, students will keep own-self one part and another part submit in College desk. National University Degree Pass course and Certificate 2nd year exam routine 2015 and exam schedule will be published soon on NU website. We will also update here as well as.